Gem Allied Industries Pvt. 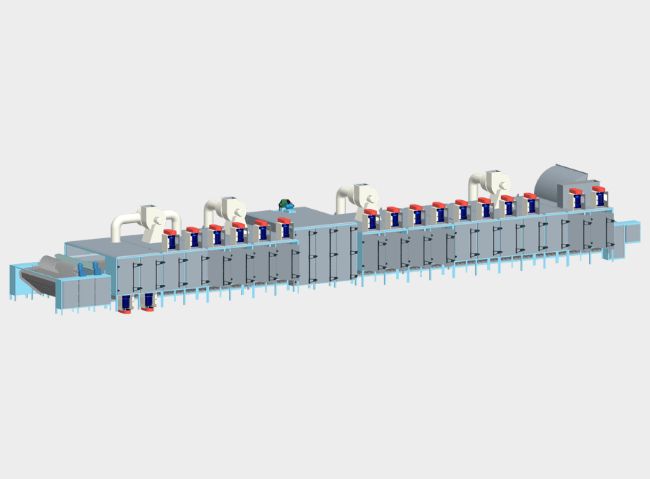 Ltd., a manufacturer and exporter of food processing machineries, is offering quality band dryers and continuous apron dryers. Press Release (ePRNews.com) - Kolkata, West Bengal - Jun 15, 2017 - Gem Allied Industries Pvt. Ltd. is an illustrious Indian manufacturer and exporter of food processing machineries. It is an ISO 9001 certified company recognised by the Government of India, which serves as an export house of quality drying and processing equipment. Currently, Gem Allied Industries Pvt. Ltd. exports products to various countries, including, but not restricted to, Japan, Philippines, Australia, Indonesia, Vietnam, Kenya, Sri Lanka, Tanzania, and Rwanda. The company has its head office in Kolkata and its manufacturing facility is located in the district of Howrah. All the products that the company manufactures meet acceptable standards of quality, efficacy, and safety. Band Dryers, Batch Type Tray Dryers, Vibratory Fluid Bed Dryer, Combination Fluid Bed Dryers, Rotary Dryer, and Freeze Dryers are the different types of food dryers that Gem Allied Industries Pvt. Ltd. offers to its domestic and offshore clients. The company also rolls out a range of equipment, which includes Blenders, Grinders, Graders, Heat Exchanger and Washing systems. In addition to this, Gem Allied Industries Pvt. Ltd. is capable of undertaking complete turnkey projects for such industries. Band dryer equipped with immense flexibility available at Gem Allied Industries Pvt. Ltd. can provide the optimum output for any product. To minimise human error, the company offers best band dryer with a control panel to run the machine and monitor the temperature in each zone. Gem Allied Industries Pvt. Ltd. can also be a great source for those who wish to buy continuous apron dryer or its spares such as Apron Trays, Chain Links, Nomex, Silicone Rubber Gaskets, Latches, Steam Coils, etc,. Spares of other band dryers are also available upon request. Gem Allied Industries Pvt. Ltd. is a leading manufacturer and exporter of quality and cost-effective food drying and processing dryers and equipment. The company rolls out sturdy stainless steel grinders suitable for fruits and vegetables. They come with adjustable cutters, which can cut fruits and vegetables in various sizes. Source : Gem Allied Industries Pvt. Ltd.